Yesterday (Monday) the rain held off ALL DAY, which was lucky since we planned to explore the Old Town of Southampton, mostly but not all of it inside the ancient walls, which still stand in many places. Southampton was badly bombed during World War II, particularly in 1940. 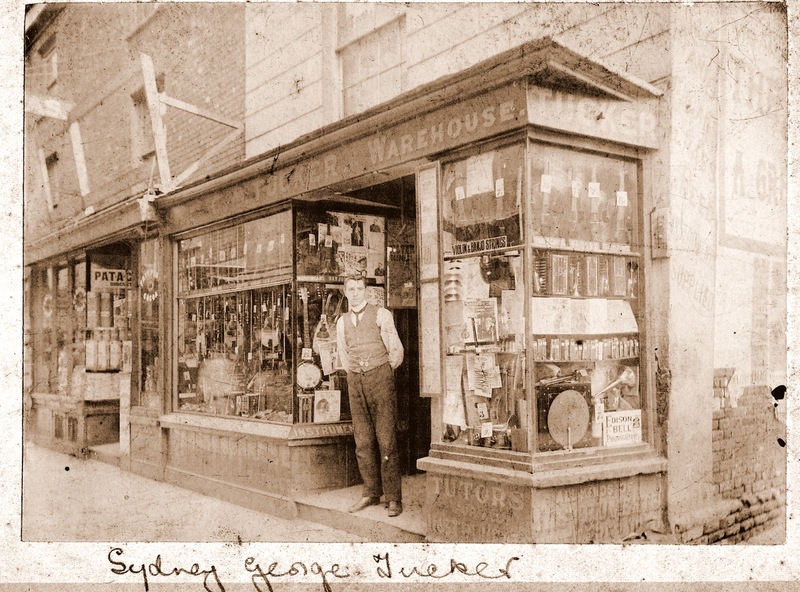 My Tucker great grand-father owned a musical instrument dealership in Upper Canal Walk, and although he had died in 1924 (predeceased by my grandfather in 1919), his much younger second wife was still running it when the war broke out. It was completely destroyed in 1940, together with all the other shops in Canal Walk. Additionally, most of East Street, a major commercial area adjacent to Canal Walk was badly bombed. This is where my other great grandfather Robert Henry Reed had one of his bakeries prior to his death in 1915. 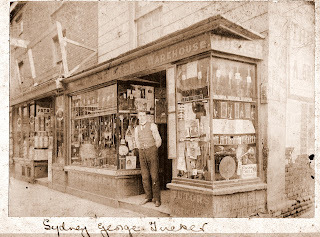 During the war, his widow and three of his daughters were running the tea room, which may have been in the East Street shop. Yet to sort that one out. But even worse, for the people of Southampton, many of the important buildings were badly damaged or completely destroyed. These included the churches of Holyrood, St Johns and St Lawrence. Many sections of the ancient walls were destroyed. Overall 600 civilians and 900 buildings were destroyed in Southampton. So even the old city is full of sixties style apartment blocks both Council built and owned and private, with many of the older ruins scattered in between, and luckily some of the ancient buildings which survived the bombing. For instance, St Michael's Church seemed to have escaped entirely, unlike its sister churches. My ancestors lived in Vyse Lane off French Street for over 20 years between 1849 and 1871, and the Lane is still there, but most of it is unrecognisable. The Duke of Wellington pub is still there, but all the cottages have disappeared, maybe well before 1940, because by the 1880s, the area was pitiful, with many houses overcrowded, unhygenic and almost falling down. Most respectable families had moved Above Bar to the north of the town. This included my Reed family - my grandmother was one of six daughters of the master baker who had three bakeries and a tea room by the 1890s. Even John Rose moved a few streets away to Westgate, but still within the old town and nearer to the Town Pier. He would have felt very comfortable there. Unlike his sons, most of whom seemed to want to better themselves, John Rose preferred to remain anti-establishment, and seemed far more at home amongst the poor town labourers and in the beer houses. We also visited the Tudor House Museum in Bugle Street. This was built during the Tudor times in the 1500s, but has had many uses. It has been a museum since 1911, but has recently been extensively renovated and brought into the 21st century with a great sound and light show in the banquet room. Unfortunately the lift to the upper floors stuck, with Paul upstairs, and so we were given our entry fee back. Almost worth it. Anyway, they were very good at resolving the problem, and explaining to the staff how the lift worked. Yes, that's me in the stocks. And wearing a silly outfit. Old and the new, with Paul. Considering the damage, Southampton City Council has done a good job of redesigning the Old Town and minimising the traffic to mostly residents. New buildings these days must be sympathetic to the remaining buildings.